We spoke with celebrity chef Chung Jae Lee on how his cooking and recipes have changed and evolved over the years through his travel and experiences. Born and raised in Seoul, Chung Jae grew up living above his parents’ restaurant, so food has always been a large part of his life. Continuing to use what he’s learnt from his parents today. 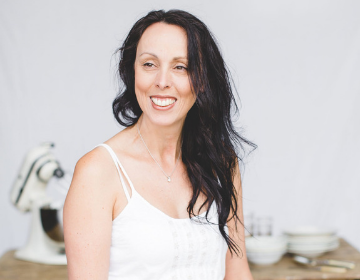 “I have learnt quite a bit from my mum as she is a sensational and fast cook,” said Lee. From his parents and life in Seoul he learnt the traditional styles of cooking for dishes such as Kimchi. Moving to Australia over 20 years ago, Chung Jae has incorporated the new experiences and ingredients he’s come across into his cooking. “Being able to use a broad range of ingredients has influenced me to create a fusion style of Korean cuisine. Some of the fresh produce I can get both here and in Korea actually taste different so it is fun to work with,” said Lee. He’s even experimented with Aussie bush tucker! Why wouldn’t people like to try food from other cultures whilst socialising with friends or work colleagues at the same time? 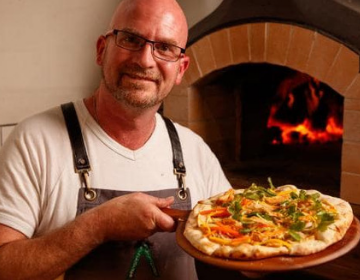 Australia’s multicultural society has also brought new tastes and flavours to his cooking. Chung Jae currently owns and runs Korean Charcoal BBQ restaurant, Little Miss Korea in Darwin. He’s found that Aussie BBQ’s and Korean BBQ’s while seemingly quite different do have some similarities. “Both types of BBQ use the same ingredients just different style of eating. Koreans love to accompany their BBQ style with a soup and rice. The marinated meats used in Korean BBQ have a lot of fruits used giving it a naturally sweet flavour and wrapped up in a variety of fresh lettuce leaves is how the meats are generally eaten. However both styles of BBQ are washed down with a cold beer and friends,” Lee said. For Chung Jae, from his experiences moving countries and states, the sharing of food is what really brings people together. 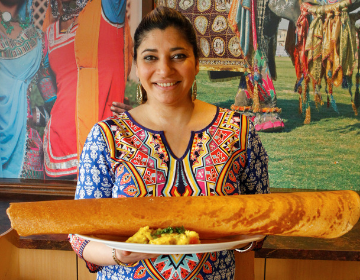 “Sharing food is a way of introducing your own custom and a way of understanding other cultures and we all need to eat so what better way to do it than together. 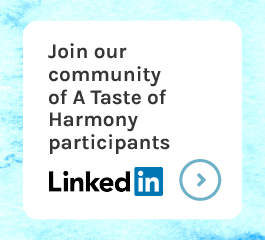 Click here to learn more about A Taste of Harmony and how your workplace can register get involved. Chung Jae Lee is Executive Chef and owner of Little Miss Korea. His cookbook Korean Cookbook: A twist on the traditional is available to purchase here.